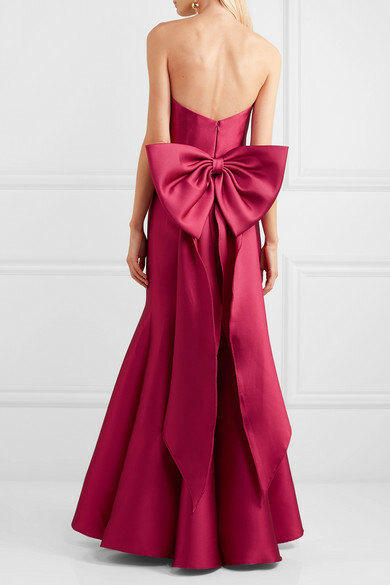 Marchesa Notte's gowns are as well-crafted as Georgina Chapman and Keren Craig's main line - you only have to look at this exquisitely cut piece for proof. 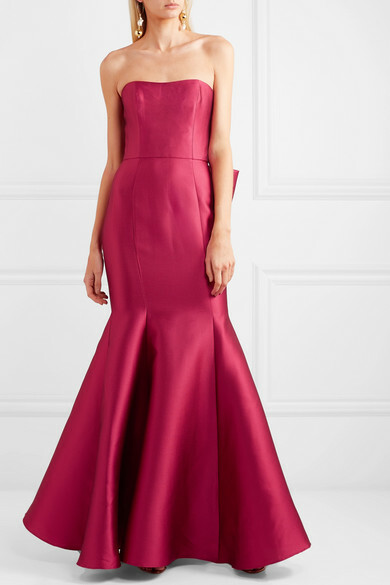 Part of the Spring '19 collection, it's made from fuchsia mikado-piqué with a close-fitting bodice that's gummed at the top to keep it in place. 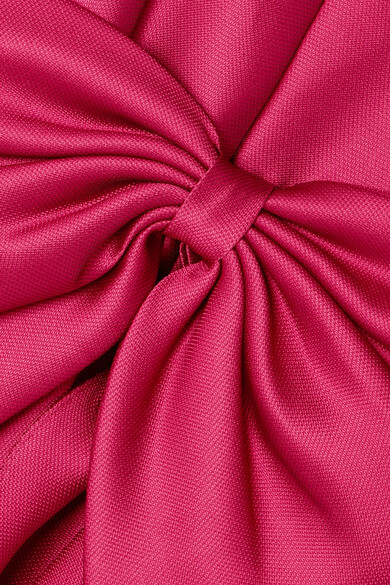 The back is decorated with a pretty oversized bow, so be sure to turn around for photographs. 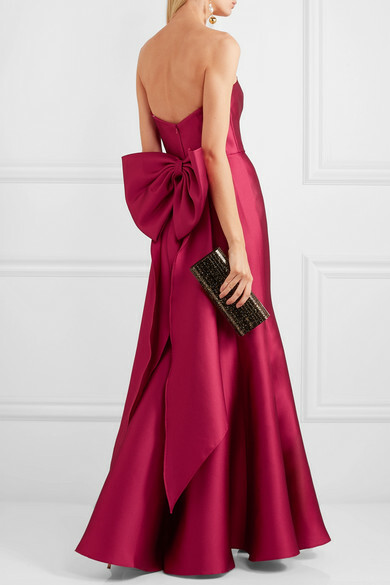 Shown here with: Jimmy Choo Clutch, Gianvito Rossi Sandals, Mounser Earrings.